Dr. Norman Geisler is a leading scholar, educator, author and advocate in Christian apologetics. He has authored or coauthored some 70 books. He has a B.A, M.A., Th.B., and Ph.D (in philosophy) and has taught at some of the top seminaries in the United States, including Trinity Evangelical Divinity School and Dallas Theological Seminary. Dr. Norman Geisler is a leading scholar, educator, author and advocate in Christian apologetics. He has authored or coauthored some 70 books and hundreds of articles in addition to teaching theology, philosophy, and apologetics on the college or graduate level for 50 years. He has spoken or debated in some 26 countries on six continents. He has a B.A, M.A., Th.B., and Ph.D (in philosophy) and has taught at some of the top seminaries in the United States, including Trinity Evangelical Divinity School and Dallas Theological Seminary. 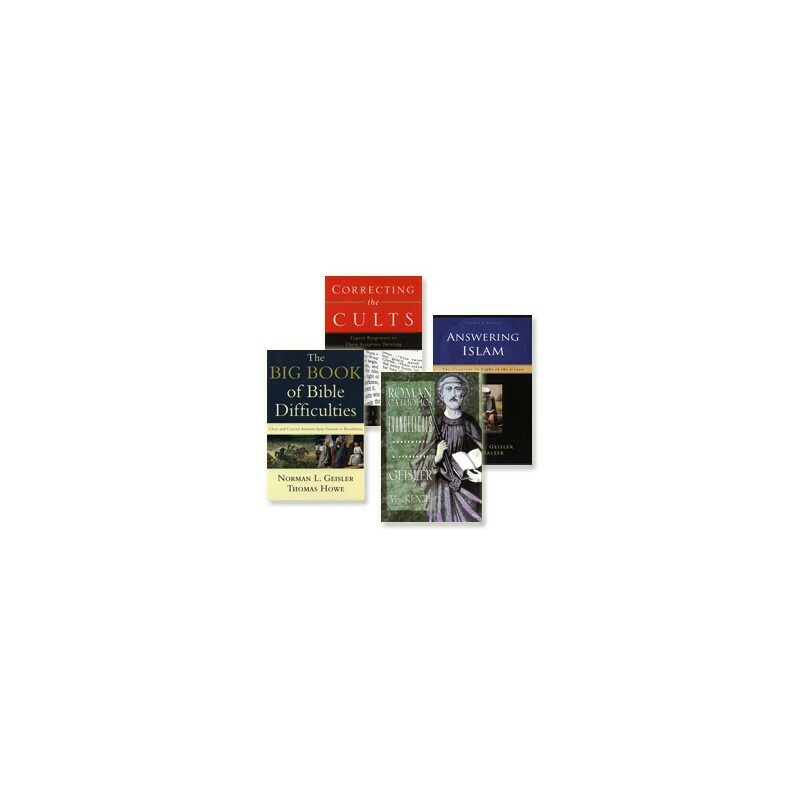 This second edition collection includes the four new Geisler titles pictured below. 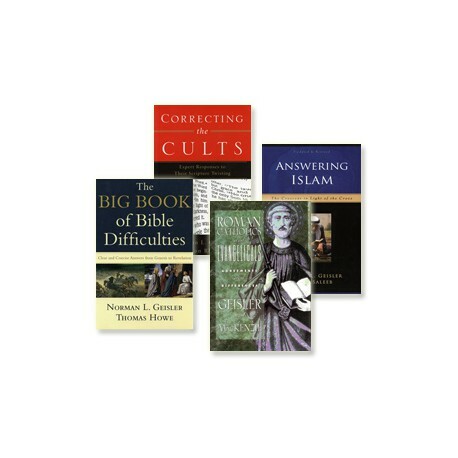 You may also purchase these titles separately, or with our 8-volume Geisler Christian Apologetics Collection. If you have already purchased our first 4-volume release of the Geisler Collection, please call us at 1-866-722-4253 for an additional discount on the combined 8-volume collection. Click any of the links above for a complete description, or to purchase a single volume.